We know you appreciate a good deal and we want you to get the best value for money as well as the best experience when you visit with us. 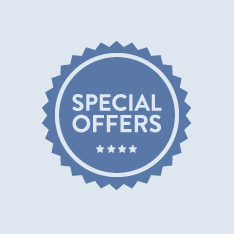 Check out our special offers below that will make sure you get the best bang for your buck whether you’re camping, staying in Hotel Westport, visiting Westport House & Pirate Adventure Park, catching the Westport Train Tour or getting adventurous with our activities. Top Tip – We often run ad hoc deals throughout the year – be sure to sign up to our weekly e-newsletter to get the latest special offers and hear our news first. 4 Night Offer is for 2 Adults & 2 Children under 12yrs sharing standard family room in Hotel Westport. 2nd Day FREE – Exclusive to Hotel Westport Guests! There’s so much to see and do this Summer in Hotel Westport & Westport House – The STAYCATION Destination! Additional Children’s Prices Available | Interconnecting Rooms Available at additional cost. Book online HERE or call us on 098 25122. Hotel Westport’s very own Advanced Purchase Groupon Deal! 2 Night’s B&B from ONLY €139 IN TOTAL for Two! Saturday Nights incur a €50 Supplement per room. 100% of Cost of Booking will be charged to the Credit/Debit Card supplied at the time of booking. This is a special discounted rate hence the Advance Purchase, Non-Refundable feature of this offering. 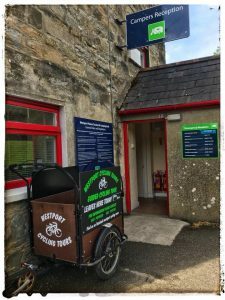 Sign up to Westport Cycle Tours for a 90min cycling tour of Westport from our Campsite Reception. €12.50 for adults, €7.50 for kids and BYOB (Bring Your Own Biike). Tours at 10am or 5pm on Monday to Thursday or 10am and 2pm on Fridays. Call our campsite reception on +353(0)9824528. A New Chapter at Westport House means fantastic news for local families. We have a limited number of JOINT MEMBERSHIPS to Hotel Westport Leisure Centre and the Pirate Adventure Park on sale. And by on sale, we mean, we are giving you a whopping 30% off! Don’t delay, we are not kidding when we say there is a limited number on sale. We are discounting the combined membership by 30%. Full membership must be paid for in advance through on our website by clicking here. Membership forms will be emailed to you to complete and return to us. Deal may be bought for a family of 3, 4, 5 or 6. We cannot add on extra children. We have released 30 joint memberships only so this really is a limited offer. And as the saying goes, “when they’re gone, they’re gone”. Please contact us on info@westporthouse.ie or 09827766 if we can answer any questions. ARE YOU A HAPPY CAMPER? LET US MAKE YOU HAPPIER! Get 50% off tickets to Westport House & Pirate Adventure Park when you book a night’s stay in our beautiful new Bell Tents! – 10% off all day tickets to the attraction when you drop in to get your pitch or if you stay one or two nights. – 20% off when you book online and pre-pay for 3 nights pitch. Simply add on the tickets once your select your preferred dates. NEW! Spa Treatment at Hotel Westport: Unhappy, tired feet after all your walking at Westport House? Why not treat them to an amazing spa treatment at Senses Spa at Hotel Westport? 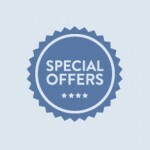 Check out their monthly special offers here. Guests can book their treatment by calling the Spa directly on 098 50008 or by calling the Hotel on 098 25122 (Spa bookings can be taken from 8am – midnight) or booking online here. NEW! Westport Town Hall: Get 15% off your ticket to the amazing ‘Patrick’ show (playing every Tuesday night!) and up to 15% on other shows, including Sean Keane who plays every Wednesday evening – simply present your camping receipt at their box office. Check out their website for upcoming shows! Ocean Spirit Leisure Centre at Hotel Westport: For some rainy day fun, why not drop in to the Hotel Westport Leisure Centre for a swim, sauna and jacuzzi. Our campers enjoy reduced prices of €5 for adult, €4 for teens and €3 – for a family of four its €15. Book your Day Ticket on our website before you visit and get 5% off normal admission – and fast track the queue! Get Discounted Tickets in local hotels & Westport Town Hall – simply ask at reception! Get 10% off family tickets to Westport House & Pirate Adventure Park. Get up to 20% off adult admission to Westport House & Grounds – €10 reduced from €13. Get your adult admission to Westport House & Grounds for €10 (reduced from €13). NEW! Westport Town Hall: After your visit to Westport House, take in a show in the Westport Town Hall. Get 15% of the Tuesday night regular, ‘Patrick’ show, or up to 15% off other tickets, including Sean Keane who plays every Wednesday night! Simply present your ticket purchase receipt from Westport House at the box office. Check out the Westport Town Hall website for upcoming shows! Get 10% off individual adventure activities when you visit Westport House & Pirate Adventure Park OR if you camp at Westport House– just show your stamp when buying activities.